About a week ago I stopped by a few of the local nurseries after lunch. I had hit the Indian buffet quite hard (is there any other way?) and felt like I needed to get some exercise or I'd find myself with a keyboard imprint on my forehead when I got back to my desk. I was only slightly tempted by some of the late-season deals, but there was one thing that really caught my eye in this one greenhouse: a weed. Okay, calling it a "weed" may not be fair. By my own definition a weed is just a plant that you don't want growing in your garden, so who am I to judge? 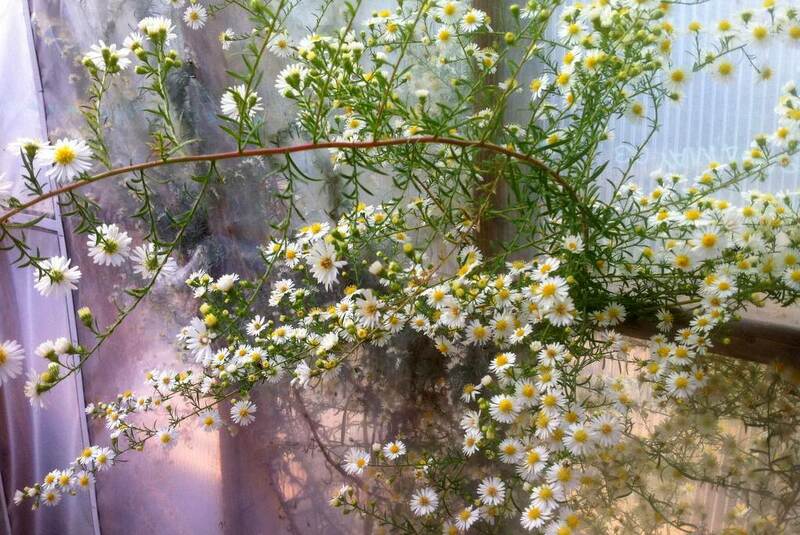 This is probably White Heath Aster, and was growing between the two panels of the greenhouse end wall. It's probably the only one of these growing on the grounds, although I suppose they might consider letting a few more grow with blooms like these! 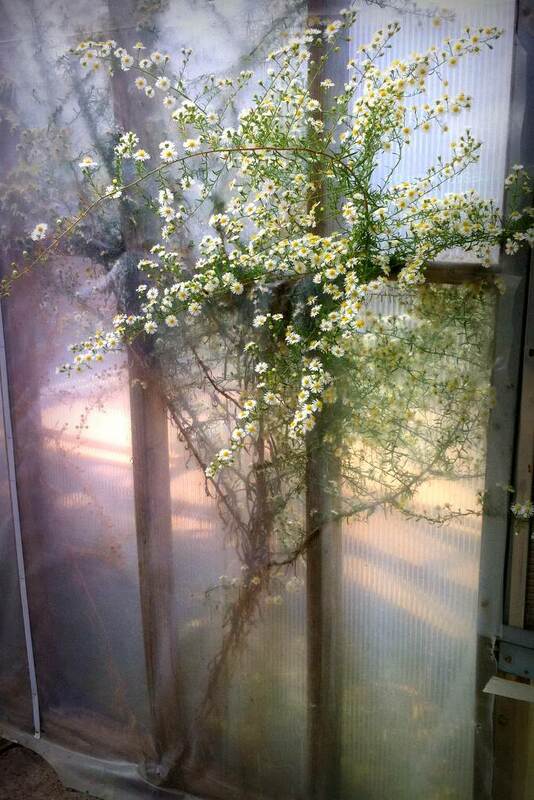 The bees couldn't get to every bloom as half of the plant was trapped between the panes, which made me a little sad. That melancholy could have been brought on by too much kheer though. I may have to add this plant to my garden, as it gives quite an impressive late-season display! What does it say about my discipline when I ignore sales plants and focus on the illicitly-growing plants? Maybe it says more about the selection on the tables, or the number of plants I already have. Or maybe I'm good for only one indulgence a day, and the Indian food satisfied that already. I'm just insanely jealous that you have an Indian buffet nearby! 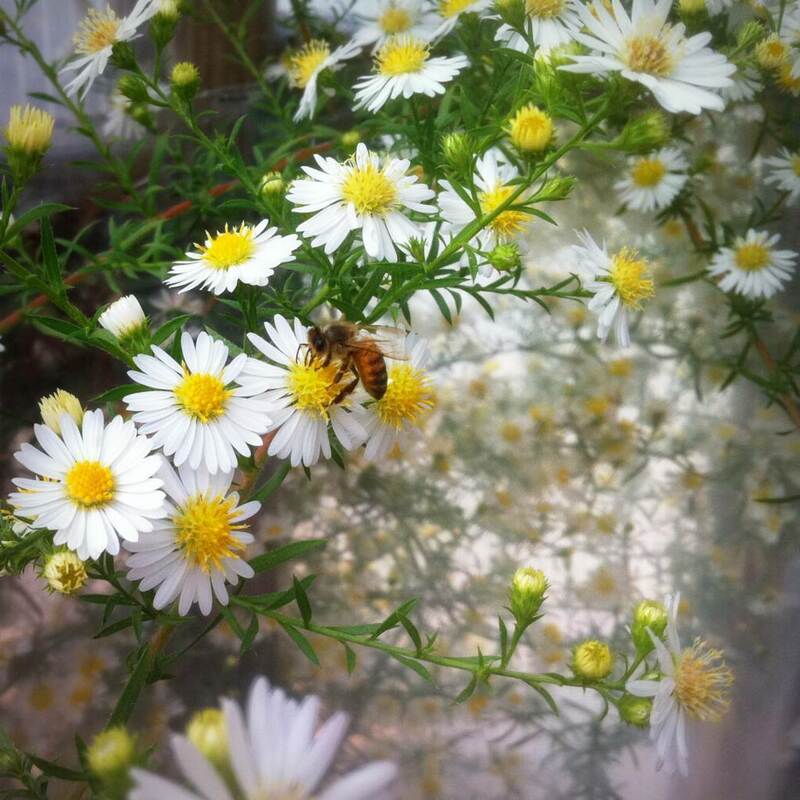 That Aster is nice too though! Lol! 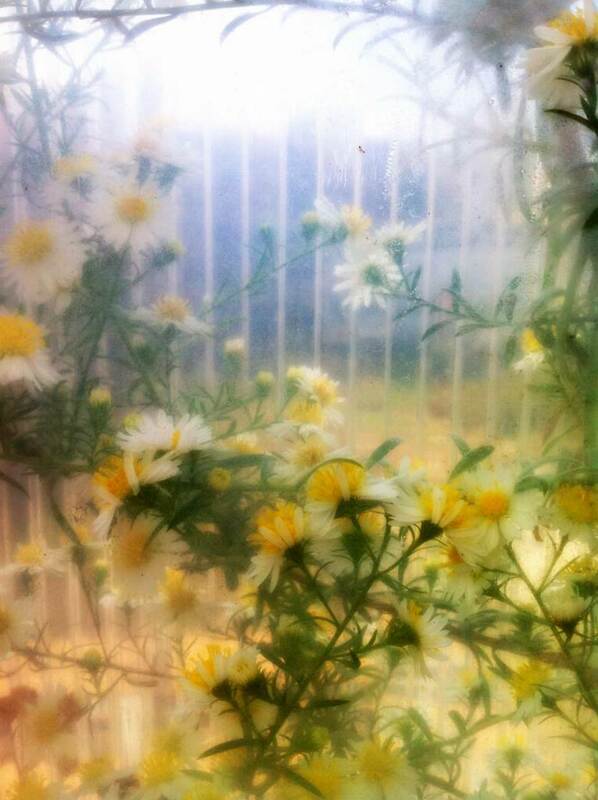 I keep looking at the vast amount of wild asters in the back on our building and think how beautiful they are. 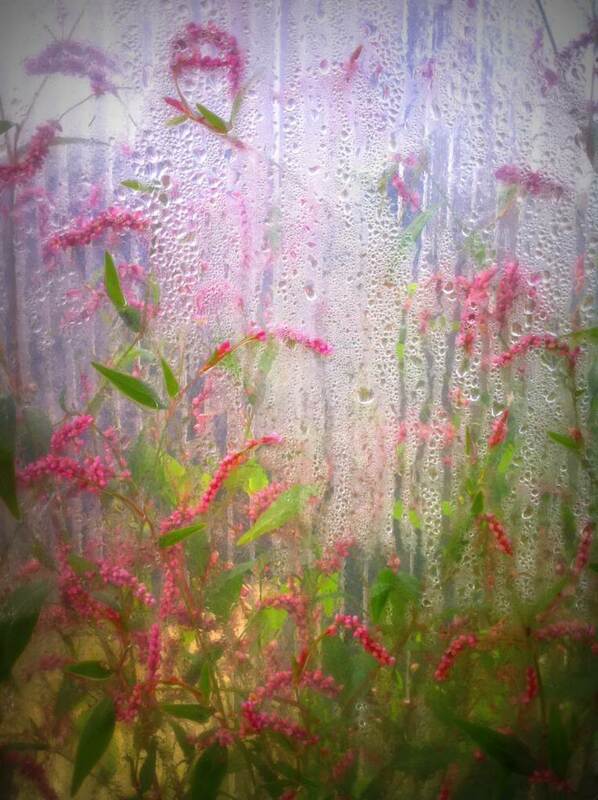 It's mixed in with japanese knotweed( which is taking over my world) and when that blooms the "WHITE" is spectacular. If only there was a good way to keep the "weeds" in check. Weed or desirable plant? It's all in your perspective, right? I happen to think this is one good looking plant! Is the last picture, Pink Weed? or well, we call it that here in the Midwest.